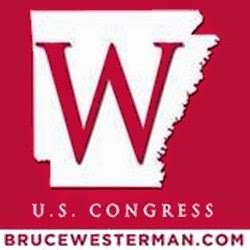 Boot Berryism: Did Arkansas Governor Put Arkansas Jobs At Risk For Political Gain? Did Arkansas Governor Put Arkansas Jobs At Risk For Political Gain? ARRA News Service - In the past it has been noted that Arkansas has been plagued by "Plantation Politics" for over a hundred years. Arkansas present governor, Mike Beebe (D), has in the past used the terms like "traditions and practices" in an attempt to cover over situations which have come to light with increasing awareness and growing transparency in Arkansas. The following presented situation again begs questions about the past actions of Mike Beebe. In this specific situation, did Gov. Beebe before the 2010 elections either attempt to restrict or actually did restrict the truthful reporting of negative facts associated with the projected spending and funding by the Arkansas Commission? Was this another of his Democrat "tradition and practices" used to gain a political advantage? Why was access to to the following referenced information not made available to the Arkansas legislature responsible for the oversight and funding of Arkansas government agencies and commissions? 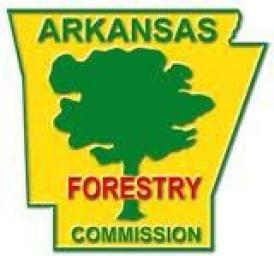 LITTLE ROCK - The former chief fiscal officer of the Arkansas Forestry Commission told legislators Tuesday that the agency's chief knew for years about financial problems that led the planned layoff of 36 workers. The agency announced this month that the workers will be laid off Jan. 13. About 300 people work for the Forestry Commission. Robert Araiza told a Legislative Council subcommittee Tuesday that state Forester John Shannon told him in 2010 that Democratic Gov. Mike Beebe didn't want any public discussion of a shortfall until after last year's general election and had canceled a meeting commission officials planned to have with forestry professionals. The Forestry Commission this year has a $4 million shortfall that is being blamed on a drop in timber sales. The shortfall prompted the layoffs. "It was like they were listening but they weren't hearing me," Araiza said. Beebe's spokesman Matt DeCample said the governor didn't know how bad the agency's financial problems were and canceled the meeting because it pertained to raising the severance tax on timber. DeCample said Beebe didn't believe the discussion would be productive in the middle of an anti-tax environment. "It wasn't until this fall that we learned that they were no longer able to operate within their budget," DeCample said. "If we had known (in 2010), we would have addressed it during the session and the budget hearings before the session." So who is telling the truth? Governor Beebe's spokesperson or the Forestry Commissioner Robert Araiza? Former Marine sergeant Robert Araiza, often referred to as “sarge” by Forestry Commissioners, had served as the Commission’s chief financial officer until October when he left to work for the Arkansas Department of Career Education’s Rehabilitation Services. Araiza said that he warned the commission for three years of waning revenue that’s leading to the loss of 36 jobs next month. There are reports that minutes of the Commission’s meetings may contradict Shannon’s testimony to the Committee and confirm Araiza’s report. Documents expected to be made public in tomorrow’s meeting of the ALC Personnel Sub-Committee may show that Shannon knew about the trust funds being used as early as 2008, contradicting his testimony to the Legislature. The Forestry Commission’s Trust Fund is held in reserve for emergencies, especially to fund outside help and volunteer fire departments in situations where the Commission’s primary resources are inadequate to fight fires. Documents to be released tomorrow may reveal that Shannon told Commissioners on one occasion that contracted air tankers had to be used to fight fires in 2010, saving the lives of volunteer fire fighters, but because trust funds were depleted, GIF funds from the Governor’s office had to be used to pay for the tankers. A CW Arkansas article and and Fox 16 video related that Former State Forestry Chief Financial Officer Robert Araiza "said he told his superiors -- particularly State Forester John Shannon -- the agency would run out of money from its trust fund if they continued to dip into it. Perhaps if they acknowledged his warnings, dating back to four years ago, he said those 36 laid off workers would have their jobs. 'I did everything I could do. I sounded all of the alarms and pushed all of the buttons,' said Araiza. . . . But Araiza says Shannon ordered no one speak to lawmakers about anything going in the agency." From the reports so far it seems reasonably evident that the Governor's office knew something about the financial problems at the Arkansas Forest Commission long before the statement by Gov. Beebe's spokesperson. And according to the various reports, Governor Beebe may have put Arkansas Jobs at risk for political gain. Tags: Arkansas, Governor, Mike Beebe, Arkansas Forestry Commission, John Shannon, Robert Araiza, Matt DeCample, overspending, underfunding, tradition and practices, Plantation Politics, Curtis Coleman To share or post to your site, click on "Post Link". Please mention / link to the ARRA News Service.